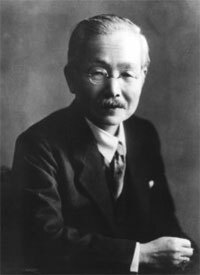 MSG was first founded in Japan in 1908 by Professor Kikunae Ikeda of the Tokyo Imperial University. He discovered MSG because of Japan's use of seaweed as a food enhancer without realizing that it was actually the free glutamic acid(MSG) in the seaweed that was enhancing the flavor, not the seaweed itself. They extracted the free glutamic acid(MSG) from the seaweed to make the first MSG product. From 1910 to 1956 Japan used extraction to get MSG but this was a very long and expensive way to obtain MSG. In 1956 they discovered that MSG could be produced by fermentation. Now MSG could be produced in large quanitites by fermentation. When WWll began is when they started to out MSG in foods. MSG was used in Japanese soldiers rations. Then in 1948 a symposium of MSG, watch over by the Chief Quartersman of Armed Forces, was held in Chicago to introduce MSG to food industries. MSG now began to be used as a food enhancer in the United States. When MSG came to the United States after WWll it was still produced by extraction. Scientist in the United States quickly discovered how to produce MSG through bacterial fermentation. It was not till 1957 when this method became popular in producing large scales of MSG. MSG was now used in almost all processed protien products. By the 1960's MSG was the most popular food enhancer in the United States.